Decorate 2 frames with over 200 stickers and gems and 18 bottle caps! 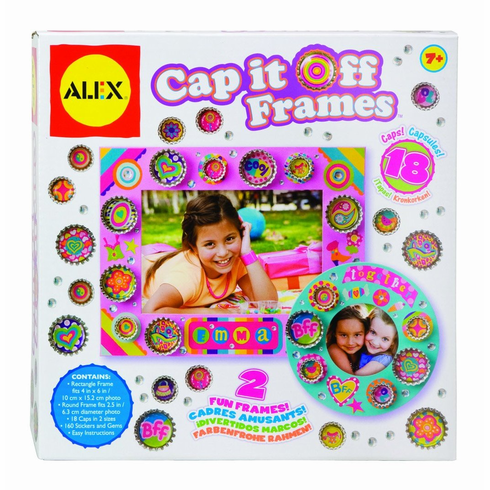 Includes 2 pictures frames with stands, 18 caps in 2 sizes, 223 stickers and gems and easy instructions. Rectangular frame fits 4" x 6" photo. Round frame fits 2.5". Ages 7+.